If you are eligible for Express Entry, Canada’s immigration management system, you essentially qualify to be submitted into a pool of candidates hoping to receive an Invitation to Apply (ITA) for Permanent Residency (PR). The Express Entry pool is based on a point system, applicants aim to achieve the highest possible Comprehensive Ranking System (CRS) score. Applicants receive points based on their age, education, work experience, and language ability. 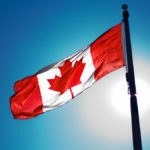 Every couple of weeks on a Wednesday, Canadian Immigration announces the updated cut-off score candidates must achieve in order to be eligible for an ITA. This Wednesday, the latest cut-off score has been decreased to 433, from the previous score of 435. This the lowest CRS cut-off since June 2017. Over the next day, 2,871 Express Entry applicants who meet the cut-off will be selected from the pool to apply for PR. Those who do receive an invitation have up to 90 days to apply. To qualify for Express Entry, you essentially need to be eligible for one of three immigration programs: Federal Skilled Worker, Federal Skilled Trades, and Canadian Experience Class. The main criteria that contribute to your overall CRS score are your age, education, work experience, and language abilities. Our Canada By Choice Immigration team invites you to take our free confidential online assessment to see if you qualify to apply. Our team will look into your profile in detail and develop the most successful route of action based on your situation.